This last year has been a fantastic one for the Majestic sets of tools – there’s been significant improvements in the interface, new features such as Campaigns have been added. 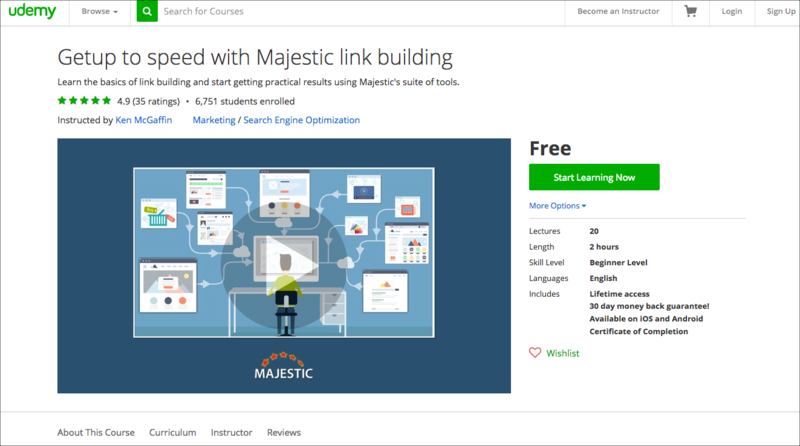 Because of all of these changes, we’ve updated the entire training course, “Get up to speed with Majestic link building“. In this article, we explain how we’ve taught nearly 7000 students over the last 12 months, we’ll give you two sample video lessons, and finally an invitation to get yourself or your agency featured on the new course material we’ll be creating in 2017. The course complements the how-to-videos by providing a roadmap for those new to link building or wishing to get a comprehensive view. The course is all about helping you get practical and useful results the very first time you sit down at your computer. The course is aimed at entrepreneurs, digital marketers, PR professionals, web designers and new staff at SEO and digital agencies – all of whom need to be productive from day one. We’ve also changed the learning platform to Udemy.com where there is a huge range of complementary courses from all sorts of experts and providers. Since we launched on Udemy last January, just under 7000 students have signed up. Here are 2 sample lessons from the course around the idea of link value. The first video looks at the great initiative from an ambitious Scottish brewery, while the second includes a great ‘spoof’ from a telephone entrepreneur in Australia and finally explains a compelling campaign from a large American bank. And the number of lessons has moved from our original 12 to 20 lessons. There is no fluff on the course videos – just straightforward advice that will get you up to speed on using the Majestic suite of tools quickly and effectively. The video lessons are short and to the point and all of them last between 5 and 10 minutes. We will be adding new content every month throughout 2017 and we hope that it builds into a great learning resource. There are plenty of quizzes, a certificate of completion and of course a badge from Majestic! If you have taken on new staff or if you want to improve your own skills, you can sign off for the course by following this link and of course it is completely free! Invitation – do you have tips on using Majestic? Have you practical tips on how you use Majestic in your digital marketing that you would like to share? Or perhaps you’ve had a particularly successful campaign and you’d like to be featured as a case study? If so we’d love to hear from you and would be delighted to include your tips or case studies in the course material. 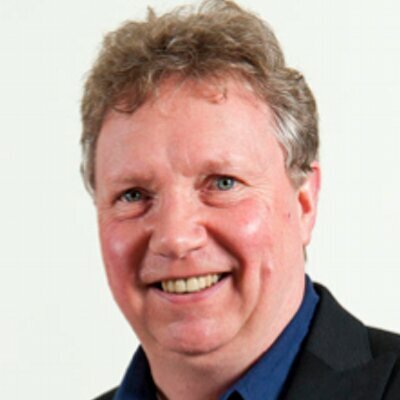 Just drop Ken a line – kenm @ majestic.com – and I’ll get in touch.